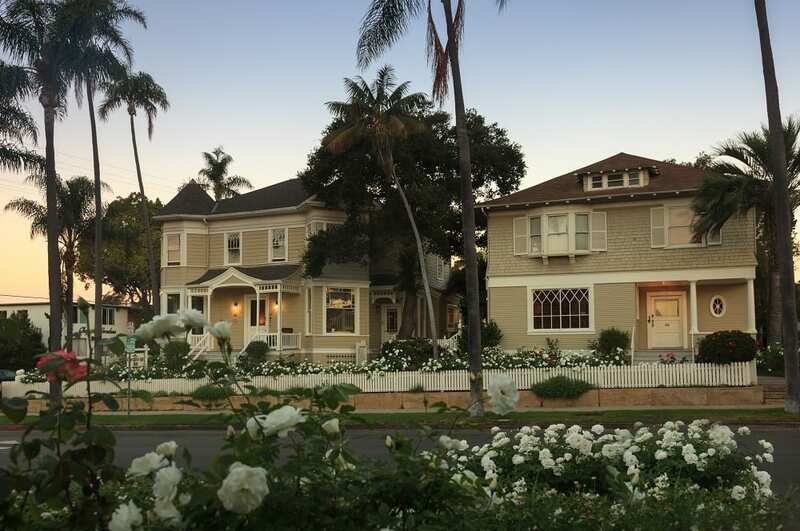 Strategically positioned in a leafy neighborhood but only 1 block from Santa Barbara’s main shopping street, the Cheshire Cat Inn affords an ideal spot for enjoying the fabulous fare and entertainment of the many dynamic establishments in town. Guests can enjoy an easy 20-minute walk in one direction to the Old Mission, built in 1786, with the scenic beachfront a brisk 30 minutes in the opposite direction. 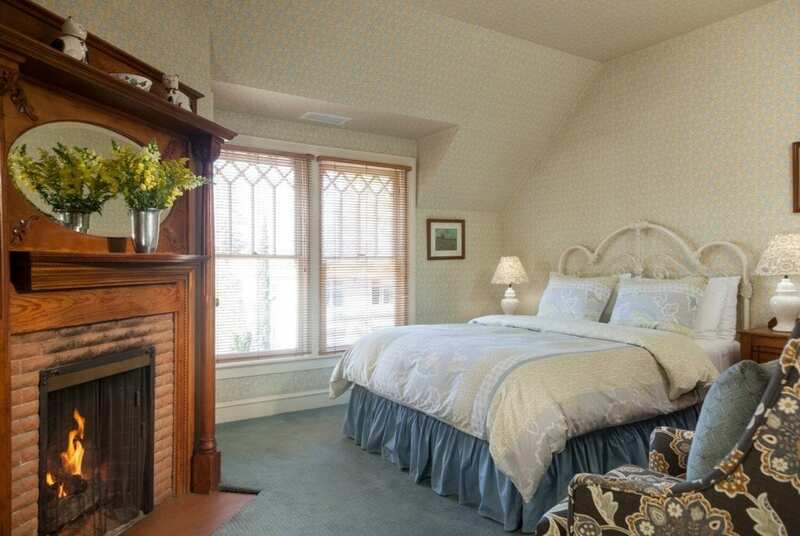 2 Queen Anne Victorian houses comprise the original Inn housing 12 individual guest rooms with names from Alice in Wonderland. 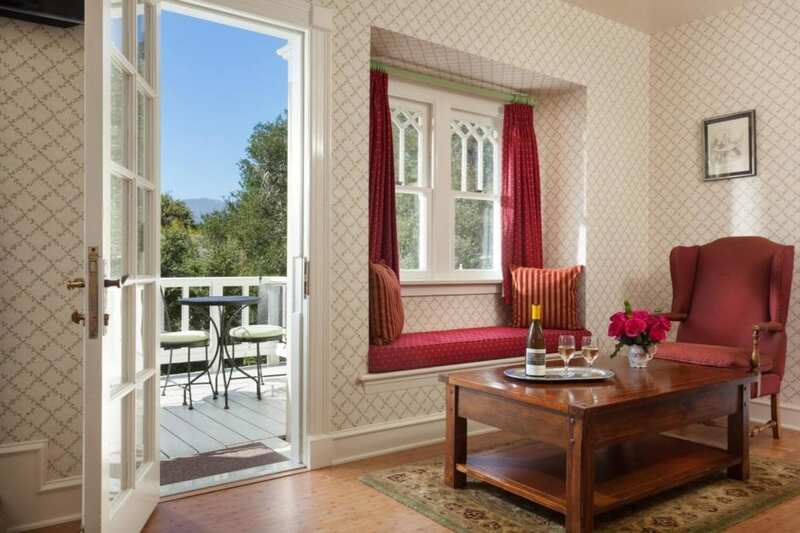 Accommodations vary from the Mock Turtle and March Hare, sunny queen bedded rooms with traditional turn of the century bay windows and comfortable furnishings to Alice’s and The White Rabbit Suites bedecked with private balconies, king beds and relaxing sitting areas. The private coach house offers a 2-bedroom suite side by side with studio suite and the 4 cozy cottages are perfect for family vacations. All include private bathrooms, direct dial phones and flat screen TV’s. Complimentary breakfast and wine and hors d’oeuvres served daily.